Finalist project of the contest “Le casque à vélo, pas obligatoire, juste indispensable” (Intramuros, Maif) in 2011. 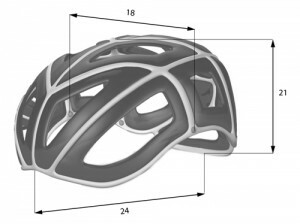 The mandate of the contest was to challenge, through the design lens, the usages of the helmet for a cyclist: portability, aesthetic, protection. eXo is an organic helmet based on non-Newtonian gels technologies. The soft gel which fill the whole helmet is hardening in case of impact, protecting the head with a minimal thickness compare to traditional helmets. This opportunity allows to hide the helmet under any usual covers: hats, caps, hoods… The design is here hidden and serves the usages before serving the aesthetic of the object. Rolled up in a bag, adapted to every outfits, the helmet is now accepted and easily portable, making it natural and easy to carry it along and wear. The organic shape is designed, finally, to provide the best protection for the head: skull, frontal impact and connection zone with the neck, the helmet stay perfectly efficient.